Vertical garden plants come in lots of different shapes and sizes. But how do you choose what’s best for your growing space? I’ve got you covered! 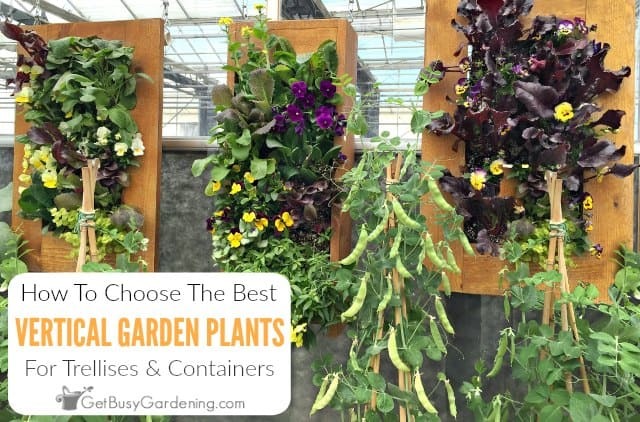 In this post, I’ll explain the difference between climbers and non-climbers, give you examples of each, and show you how to choose the best plants for any vertical garden. Whether you’re looking for vertical garden plants to climb a trellis, or to fill your hanging gardens, you have tons of options! But what are the best plants for vertical gardens? When it comes to growing vertically, choosing the best plants to use can be confusing and overwhelming. If you accidentally buy the wrong type of plant, it can ruin your vertical garden. Don’t worry, I’m going to make this super easy for you! Below I will break it all down, and explain exactly how to decide what plants to use in a vertical garden. The great news is that vertical gardening won’t limit your options for what kinds of plants you can grow. There are tons of wonderful vertical garden plants to choose from. When it comes to choosing plants that are best suited for vertical gardens, the obvious choices are climbing vines. Vines are great for covering structures like trellises, arches, and arbors. But vertical gardening doesn’t limit us to only growing climbing plants. When you start adding in other vertical gardening systems like living walls, hanging pots or stacked planters, the options for plants you can grow vertically are almost unlimited. For the purpose of choosing which vertical garden plants to grow, we can put plants into two very broad categories: climbers and non-climbers. When choosing plants for vertical gardening, it’s important to understand that many types of traditional vining plants also come in a compact, bush form. These compact varieties are usually referred to as “patio” or “bush”. The reason it’s so important to understand the difference here is because vining plants will climb a trellis, but bush or patio varieties will not. You can’t always tell the difference between the two when looking at a plant, especially small seedlings. So be sure to always check the label or seed packet before purchasing. Don’t worry, you won’t have to make any sacrifices when it comes to growing in vertical containers. 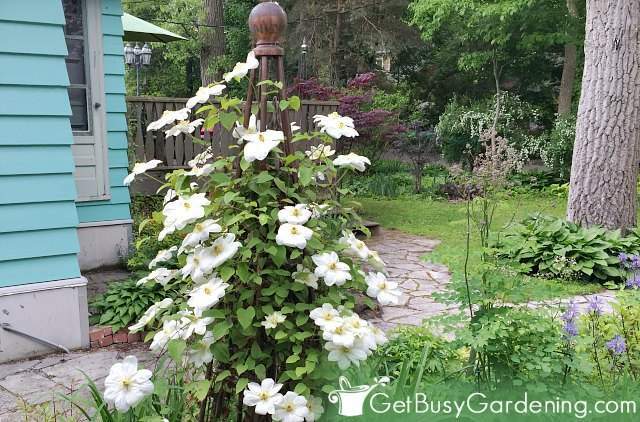 These days, many of our favorite vining plants also comes in a compact bush version. It doesn’t matter whether you have a large garden plot with plenty of space for climbing plants, or you want to grow vertically in small spaces. 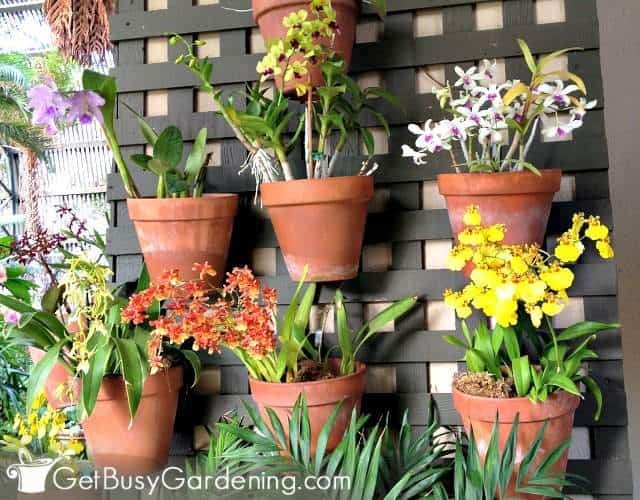 You’ll find that you have tons of options for choosing vertical garden plants. 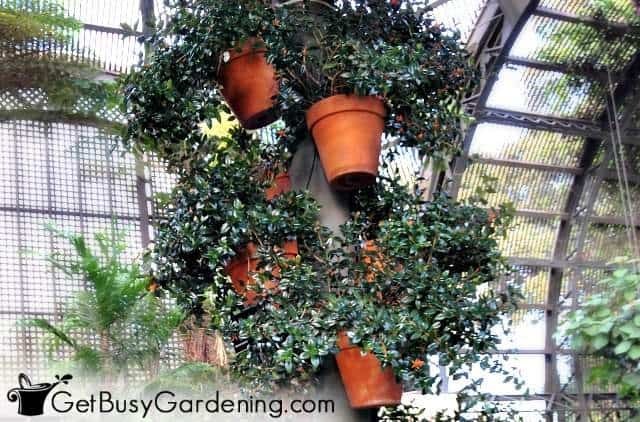 Below I’ll talk more about climbers -vs- non-climbers, and give you some examples of each so you can find the best vertical garden plants for your space. Climbing plants grow long, tall stems or branches that can be trained to grow up. These are the plants that will cover a pergola, arbor, obelisk, trellis, or any other plant support you want to use. Whether you’re looking for flowers or vegetables, there are tons of wonderful climbing plants (aka vining plants) to choose from. Some of the most common climbing flowers are: morning glories, clematis, bougainvillea, jasmine, climbing roses, honey suckle, and sweet peas. 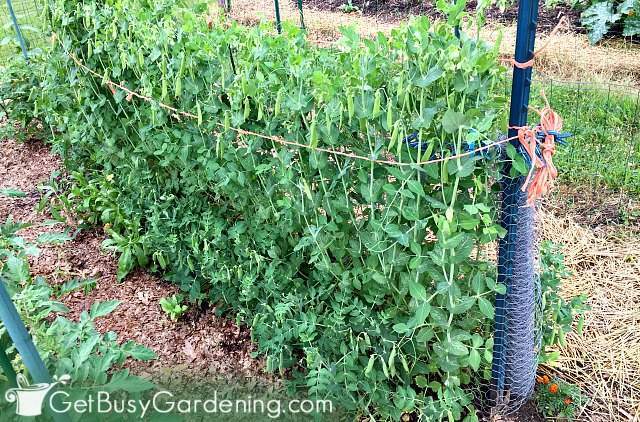 As for vegetables, beans, cucumbers, peas, cucamelons, and even squash and gourds all come in vining varieties that can be trellised. 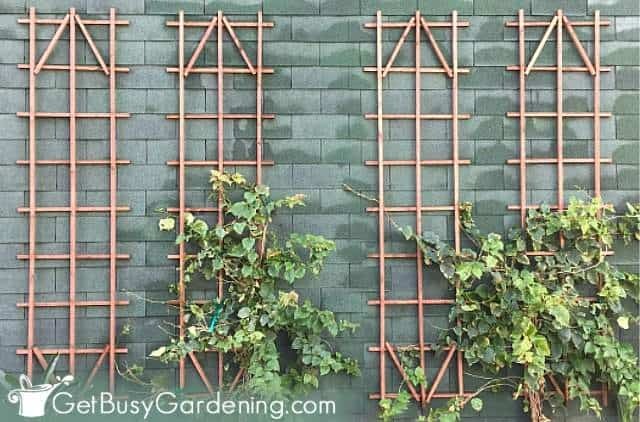 You can see a detailed list of climbing trellis plants here. Just because you don’t have a large garden plot with tons of space for growing vining plants doesn’t mean that you can’t grow vertically. There are tons of wonderful non-climbing vertical garden plants on the market these days. 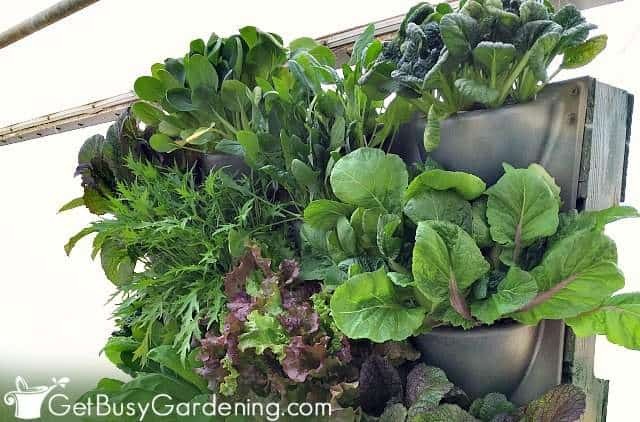 When we expand our growing space by adding vertical containers like wall pockets, picture frames, or tower gardens, our options for what plants you can grow in a vertical garden are practically unlimited. Many plants that are traditionally grown in a large gardens are also available in smaller sizes specifically bred for growing in pots. Many climbing vegetables, like beans, tomatoes, cucumbers, peas, and squash come in bush forms that are perfect for growing in containers. Non-climbing crops like lettuce, peppers, eggplants, herbs, strawberries, and even root crops can be grown in vertical garden pots too! As for flowers… well, there are so many options that I’m not going to attempt to name them all here. But some of my favorite non-climbing flowers are marigolds, pansies, celosia, moss rose, begonias, orchids, petunias, impatiens, and dwarf zinnia to name a few. Succulents are another wonderful (and super popular) vertical garden plants to use. Since they don’t require a lot of water, they’re perfect for creating living walls, picture frames, and other shallow planters. One word of caution when choosing what to grow in vertical garden containers: just because a plant is a non-climber doesn’t mean is’t suitable for growing vertically. For example, full-sized versions of non-climbing plants like kale, zinnias, broccoli, cabbage, sunflowers, and corn, aren’t suitable for growing in vertical containers. So, when you go shopping for non-climbing vertical garden plants, be sure to choose plants that are proportionate to the size of your containers. That way, the plants won’t outgrow or overwhelm your vertical container garden. 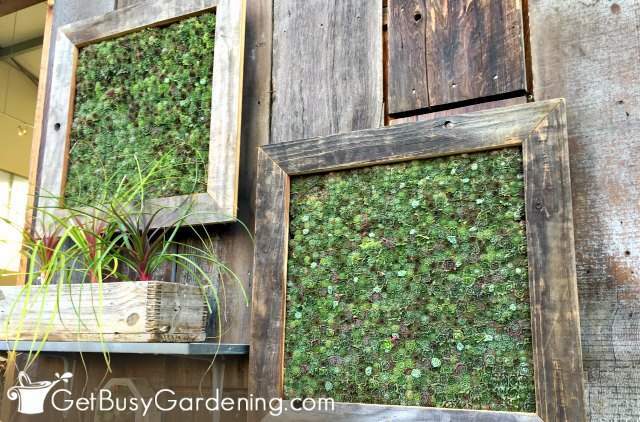 Choosing vertical garden plants doesn’t have to be stressful, it should be tons of fun! Now that you understand which plants will grow on a trellis, and what plants to use for vertical garden planters, it will be easy to always make the perfect choice. 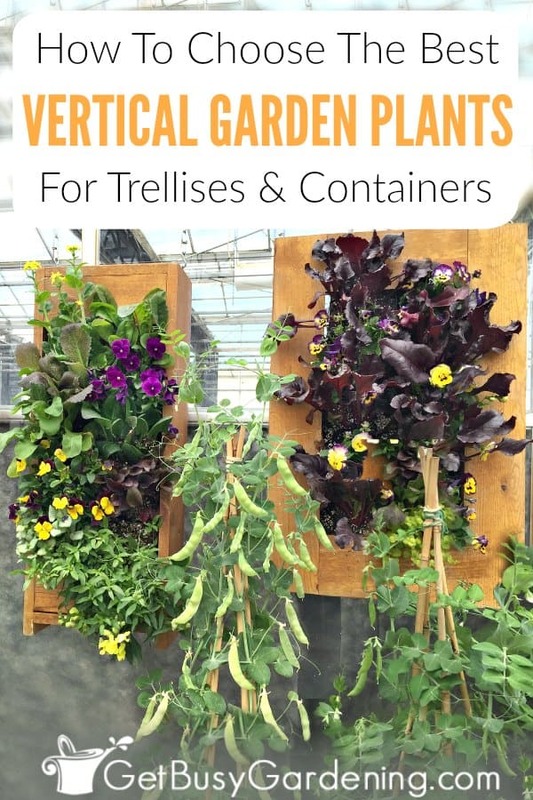 If you want to learn all about how to grow your crops vertically, my new book Vertical Vegetables is perfect for you! It will teach you how to grow food vertically, and also has the full step-by-step plans for almost two dozen projects you can build. Order your copy today! Share your favorite types of vertical garden plants in the comments section below!